Wayland “Dave” Davidson, James Davidson’s father, becomes an early pioneer. In 1963, Dave Davidson became one of only a handful of contractor/applicators in the entire country. 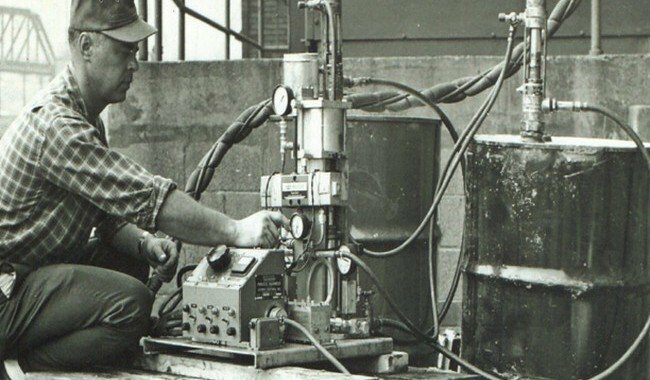 “Dave” Davidson was one of the first pioneers in the spray foam industry. 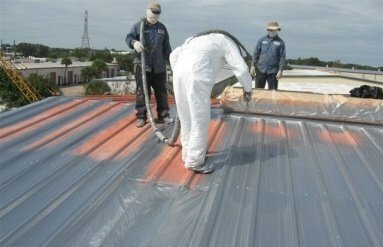 As a painting contractor, working at large industrial and chemical facilities, he discovered the future value of polyurethane foam for roofing and wall insulation. In 1963 he became one of only a handful of contractor/applicators in the entire country. In just a few years he was not only installing polyurethane foam, but was operating a distribution center selling equipment, parts and materials in a five state area. 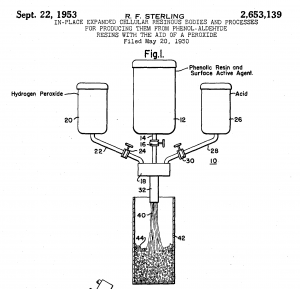 In addition to this, manufacturing facilities producing the polyurethane foam chemicals hired him to install experimental materials for their R&D. He began training other contractors and their employees in polyurethane foam applications. Many of the people he trained are still in the polyurethane foam business today. He was also instrumental in the early development of new spray equipment and parts, consulting directly with Fred Gusmer, the owner and developer of the Gusmer polyurethane foam dispensing equipment. 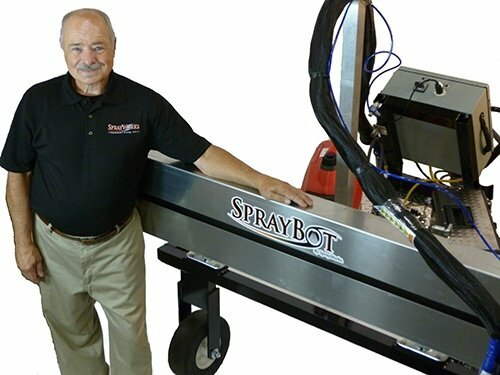 James Davidson designs and patents the Spraybot. 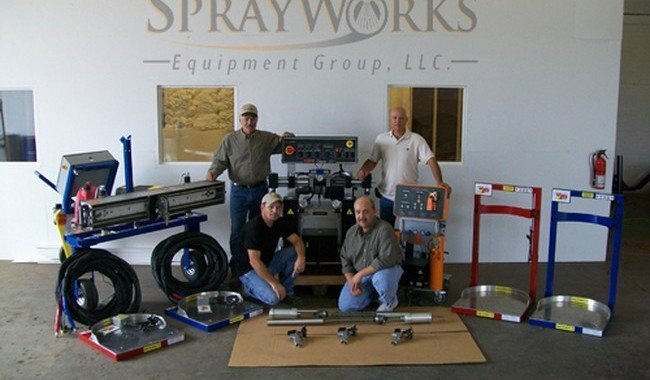 SprayWorks Equipment Group, LLC is founded by James and Debra Davidson. In 2005, Jim Davidson founded SprayWorks Equipment Group, LLC., along with his wife Debbie and a great team including; John Davidson and Dave Penta. The SprayWorks team are leading experts in today’s industry for Spray Foam/Coatings applications and Spray Foam Equipment. Dave Davidson’s legacy continues with SprayWorks Equipment Group, a family owned business. Jim Davidson, Dennis Davidson, John Davidson, and Dave Penta are the leading experts in today’s industry for Spray Foam/Coatings applications and Spray Foam Equipment. SprayWorks Equipment Group’s equipment and rig sales, as well as their training center, is the starting point where contractors can come for consultation, equipment needs and grow there business. SprayWorks carries only the most reliable Spray Foam Equipment on the market and the only truly turn key spray foam rigs available, with the option of Barrel Blazer Heating System. Understanding how to process today’s chemicals with the equipment is key to a contractor’s success.